compliance experience in the financial services sector and private sector across the globe. legal, and regulatory compliance in the private, public and Government sectors in the UK, Europe, Asia Pacific and the Middle East at a ‘Top 25 Employer of Choice’ international organisation. in Mauritius and across a variety of jurisdictions. to leading the legal and compliance structuring of financial corporations in a contentious and non-contentious arena. Sabrina is also committed to community service. 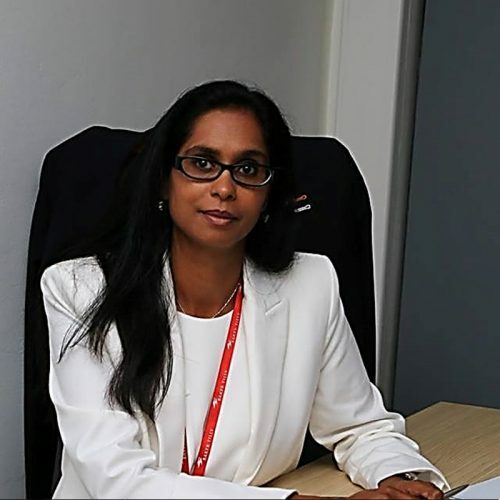 She has been active in providing legal and regulatory compliance assistance to several NGOs in Mauritius. 1. Drafting, vetting and advising on legal contractual documentation. 2. Liaising and leading property acquisitions on a global scale (residential and commercial developments) alongside the Economic Development Board in Mauritius. 3. Working with the Regulators (Financial Services Commission) and their licensees on adherence to regulatory and legislative requirements. 4. Adopting and implementing advanced legal compliance internal frameworks. 5. Delivering legal and regulatory compliance seminars. 6. AML/CFT and data privacy/protection projects. 7. GDPR and data protection training events. 8. Authored various articles and publications on legal and data protection awareness.